Need help purchasing a class set? Many teachers have had success with a DonorsChoose fundraiser! 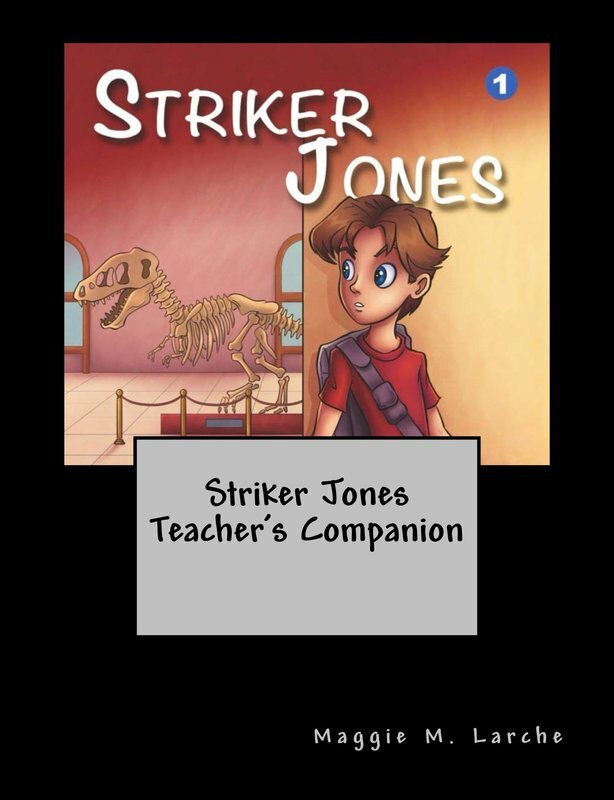 Organized according to the ten chapters in each book, use the Teacher's Companions to explore the many economic concepts (see below) raised in the Striker Jones novels. In addition to classroom discussion topics, the plans include comprehension questions, vocabulary, fun group activities, and individual assignments. Use the guides together or alone and in any order. Plus, if you have to follow Common Core, the lessons meet reading and language arts standards (see below). The Lexile reading levels of the novels are about 700L. Economics is about much more than buying and selling, but unfortunately, that's usually the main (and sometimes, only) topic of the few existing elementary economics lessons for kids. Not so with Striker Jones! Striker will introduce students to a wide range of underlying economic principles that affect the way we all act every day, even if we're not buying something at the store or investing in the stock market. In addition, Striker Jones is aligned to the microeconomic voluntary national economic standards set by the National Council on Economic Education. For more details on standards alignment, see Striker Jones Standards. "This was a great resource in linking Social Studies with ELA." - Suzane L.
"These are FABULOUS, very detailed, lessons!" - Keisha G.
"This really helped me introduce economic concepts to my students." - Tania S.
"So excited to use this with my class." - Kiera F.
"Students loved this!" - Stefanie T.
"Great teaching tool." - Josephine C.
"Great way of teaching economic concepts to kids. They really understood the ideas after the stories." - Antelope T.